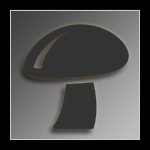 I believe that Mycotopia welcomes members from the Nederlands, However, I personally use to support several mushroom farms in the Nederlands who were so kind as to invite me to their grow farms and allowed me the privilege of photographing their fantastic shroom grows. And while I was robbed their in the late 1990s,, I do have some complaints about the mushroom growers as well as the various Smart Shop Vendors who sell magic mushroom sclerotia products with various non-existing phony names to promote and sell thei sclerotia to unsuspecting customers. For example, In 2013, I informed three of the major growers of some very important new data on Two species they sold which were in fact, the same species as another. Thanks to DNA, I reported in my mushroom book, Divine Mushrooms and Fungi that Psilocybe tampanensis and Psilocybe galindoi were the same species as Psilocybe mexicana. This information was first conveyed to me by Alan Rockefeller, and later by Dr. Gaston Guzman of the Instituto de Ecologia in Xalapa, Veracruz, Mexico. Dr. Guzman was also kind enough to provide me with a letter allowing me permission to publish that news which he, at the time was inserting the same news into his revised Genus Psilocybe, a monograph of the different species of fungi that contain psilocine/psilocybine in them. 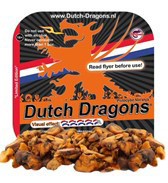 I not only informed those growers in the Nederlands, Two of whom I provided free advertising to them on my web page for more than 20 years, but also to many of the vendors who owned or worked in such Smart Shops where the sclerotia, Spores and Grow Kits for such products were marketed from. Today, they all still sell those products as three separate species. Many tourists come and buy two or three different kinds of the sclerotia with a fact sheet for each species that describes different effects for each of the three. 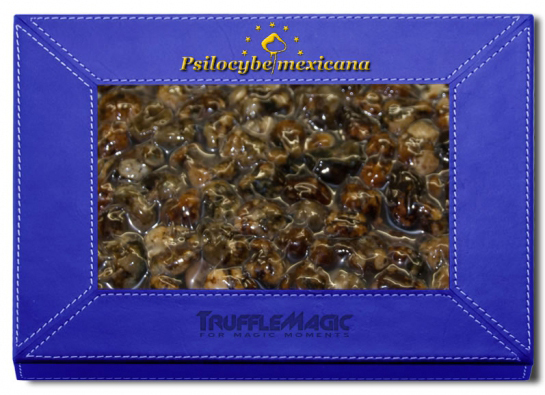 So the growers and vendors sell one product, Psilocybe mexicana sclerotia along with two other packets of the P. mexicana as Psilocybe tampanensis and Psilocybe galindoi. Shame - Shame - Shame! 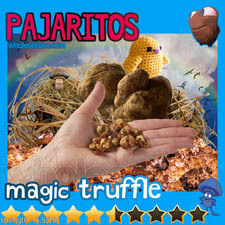 But not only do they sell those, they also sell the same species of sclerotia from the P. mexicana and other two species under several other names, so it would appear that many Smart Shops are selling a lot of sclerotia under many phony non-existent species names such as the following. I also have added some photographs of some of their sclerotia which are all really Psilocybe mexicana (which is also very common in Georgia,l Florida, Mississippi and probably in Alabama. Louisiana and Texas as well, since the species is common in Oaxaca and other similar climates below Texas in Mexico and Guatemala. 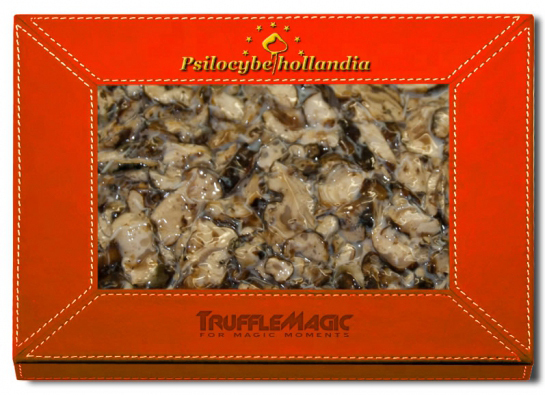 "Shayana"; "Wholecellium"; "Magic Truffle" (formerly known as "Pro-Care" of Hazelwoude-Dorp) and "Truffle Magic" (Formerly known as "Fresh Mushrooms of Tiel"). These latter two use to grow mushrooms until they were banned on Dec 2 of 2002. 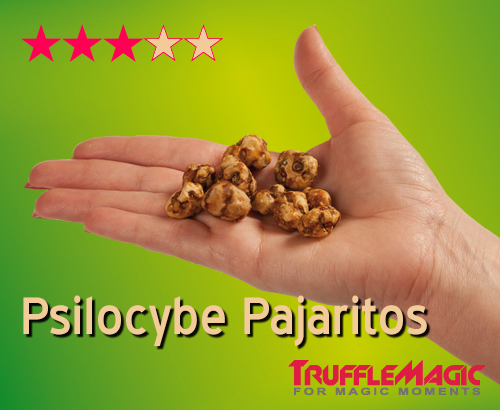 And then they grew and marketed the sclerotia of P. mexicana, P. tampanensis and P. galindoi (all are P. mexicana) and Mr. Peter de Boer of Truffle Magic puts out a weekly newsletter hawking the wonders of his various strains of sclerotia with a lot of misleading or false information about the magic properties and benefits of his different named products which again Are all one species. 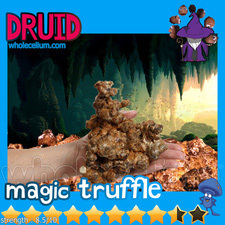 [I also recently noticed that several packaged Sclerotia products offered by Truffle Magic had the name magic truffles on some of their sclerotia items for sale on their web site]. I only get riled because this is dishonest. We lovers of these mushrooms who study and write about them get very upset when people spread misinformation about the products they are marketing to the public. 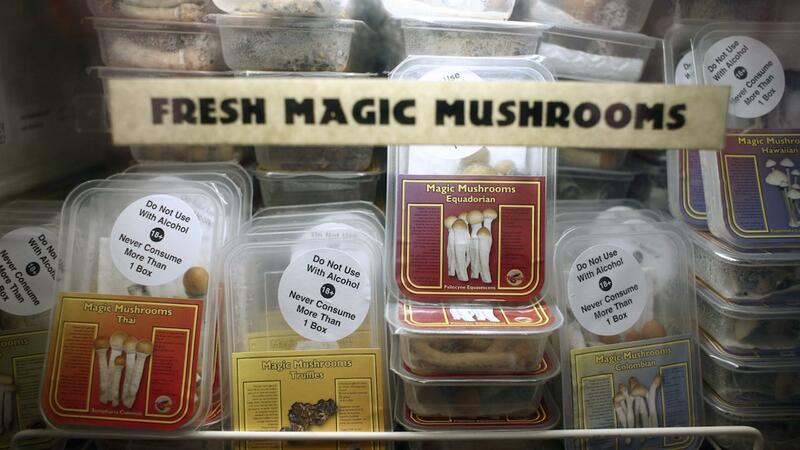 We want people to be honest in their dealings and not give these mushrooms a bad name. 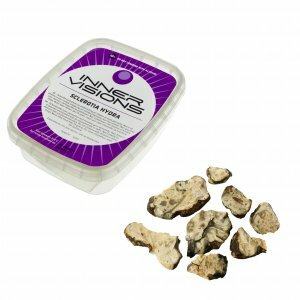 I have watched sale clerks in numerous smart shops entice perspective customers into buying two or three different packets of sclerotia, each with a fact sheet of the effects of some of these varieties. Psilocybe Galindoi, Also spelled as Psilocybe Galindoii. The Latin spelling would have a double 'ii' on the end. Some of these growers use both one 'i' and two 'ii's on their labels. 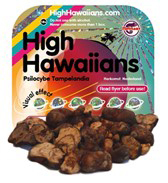 Hawaiian Highs Sclerotia [There are no Sclerotia producing fungi in the Hawaiian Archipelago. Only 5-6 species of Copelandia and Panaeolus junonius (Syn.=Panaeolus subbalteatus). And no Cubes grow in Hawaii except clandestinely indoors]. 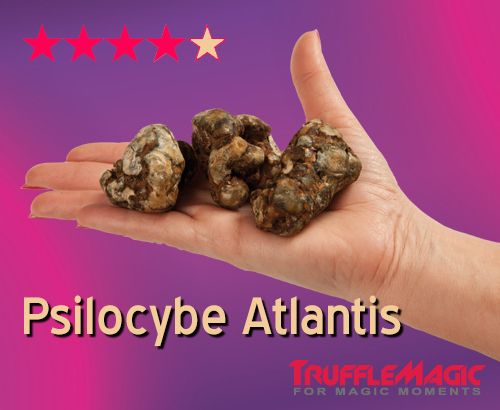 "Psilocybe Galindoi Among the psychedelic mushrooms, Psilocybe galindoi is one of those which were used in rituals to connect with the spiritual plane and gain the wisdom of the gods." 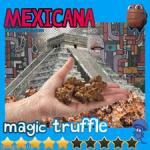 I am posting several images of these phony sclerotia and real only P. mexicana. But each one is sold separately as individual different species. 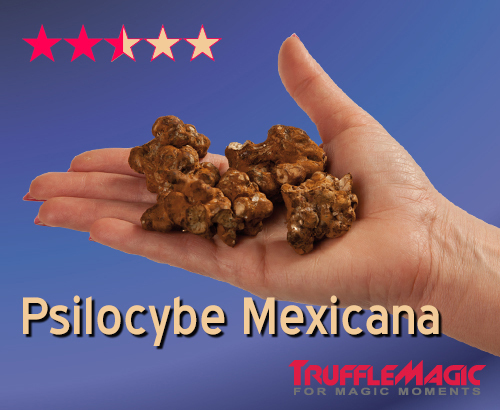 All are P. mexicana except Psilocybe Atlanta sclerotia is real also. And as I noted, Truffle Magic is Peter de Boer's company now. The owners I knew were Hans Grootenwalde and his partner Hans, Cannot remember the other Hans' last name. They were kind to me and provided me with a beautiful room on a small islet in Tiel in a Chalet. Very quaint and comfy it was. Free hot chocolate. They bought me my favorite sandwich, A bacon cheeseburger I could not eat. In Europe, it it is not McDonalds, or Burger King or Wendiy's all hamburgers are pork. It was a nasty taste that my palid was not ready for. Said to be Psilocybe Naranja which Shayana calls their "Dutch Dragon Sclerotia." A non-existing Species name. 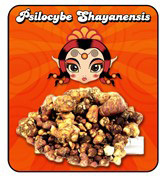 This is labeled as Psilocybe Shayenensis, Their website is Shayana. A non-existing species name. Labeled "Hawaiian Highs." No Sclerotia Producing species occur in the Hawaiian Archipelago. Only 5-6 Copelandia and Panaeolus subbalteatus grow naturally) No cubes grow except Indoors only. WHOLEMYCELLIUM AND MAGIC TRUFFLE'S SCLEROTIA [WERE ORIGINALLY KNOWN AS FRESH MUSHROOMS OF TEIL. THESE ARE ALSO ALL ONE SPECIES]. NOTICE THAT THESE PRODUCTS COME FROM A COMPANY CALLED WHOLEMYCELLIUM. But the Packaging says, "Magic Truffle." Psilocybe alien- Non existing species. Really? Psilocybe Dutchii. 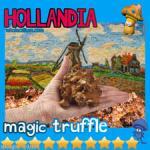 Also known by other names as: Hollandia, Hollandica, and Mothers Finest [Sic!]. Psilocybe Mckennaii also from Wholemycellium..[The McKennaii is a wonderful one to start with. Named after Terence McKenna, the godfather of the psychedelic movement, the McKennaii is a rather new strain of magic mushroom. If you want guaranteed visuals and intense philosophical moments, this is the one you want!]. 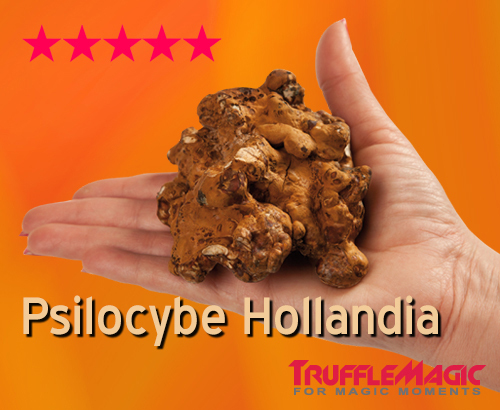 Peter de Boer in his newsletter refers to this as a new strain of magic mushroom. BS is what I refer to it as. TRUFFLE MAGIC SIX PRODUCTS. 5 are P. Mexicana and 1 is Psilocybe Atlantis. Use to be Pro-Care. Sometimes I get confused because they mimic each others Company Name. Psilocybe Pajaritos (same as P. mexicana)..
Psilocybe Tampanensis. (Same as p. mexicana). 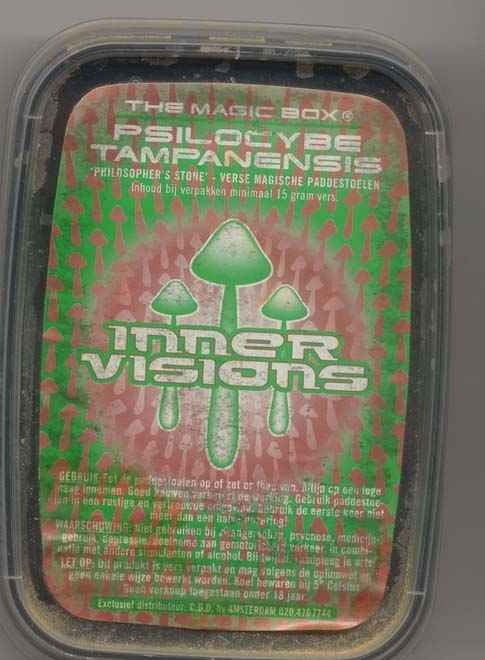 When the sale and possession of magic mushrooms, mostly grown strains of P. cubensis, many of questionable origin due to lack of mycological knowledge of species cause many problems with vendors selling products to tourists with limited knowledge as to what they actually had. 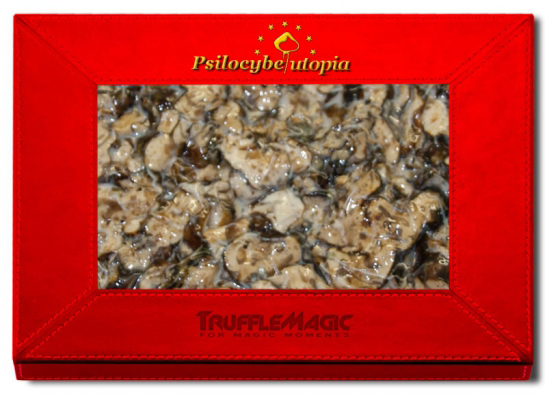 Some cubes were at first labeled as Stropharia cubensis, a correct name at one time. Then some strains of Mexican cubes were sold as Psilocybe mexicana or Psilocybe mexicain. Without knowing the difference of P. mexicana as a different species than P. cubensis. Also the naming of non-existing species which many intrepid explorers soon learned. All being offered the same species under different names with different effects printed on little flyers given to those who purchased said mushrooms. Here is a flyer that comes From the Kokopeli Smart Shop in Amsterdam part of the Conscious Dreams collective of 5 Shops. 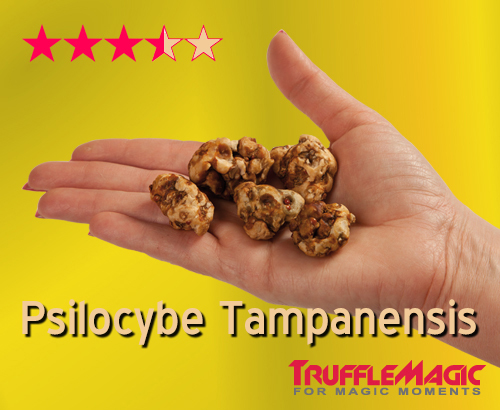 This goes with the Sclerotia of Psilocybe tampanensis. IT is only one side and comes in 6 languages. Given to tourists from different countries. 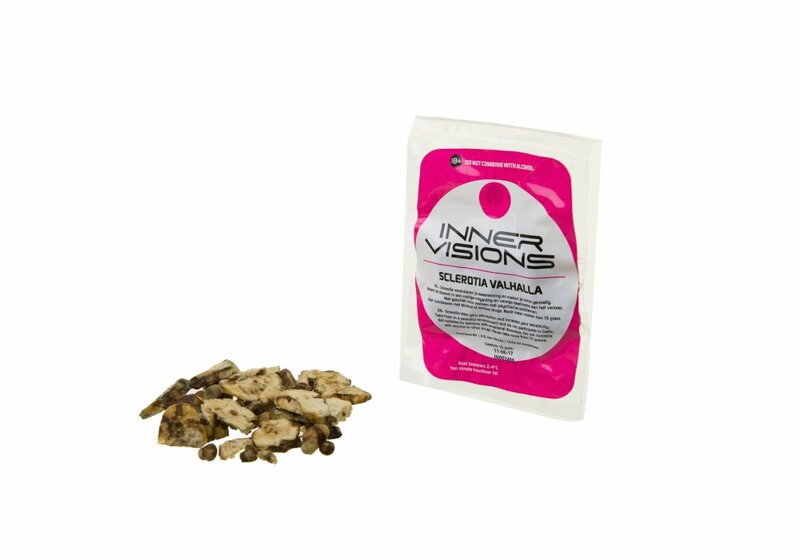 Again, Conscious Dreams has the labels as Inner Visions, but came from Fresh Mushrooms of Tiel. I will add the other labels for three species no longer available. They list different effects for different species. However, the three info sheets can actually be the same total effects from all three sheets occurring in one specific voyage. Psilocybe ecuadorensis. Another phony made up name using incorrect Latin name for the cube from Ecuador. No Knowledge of Taxonomy for Peter de Boer. Azarius Smart Shop online and in Amsterdam. Have several weird named products for Sclerotia. 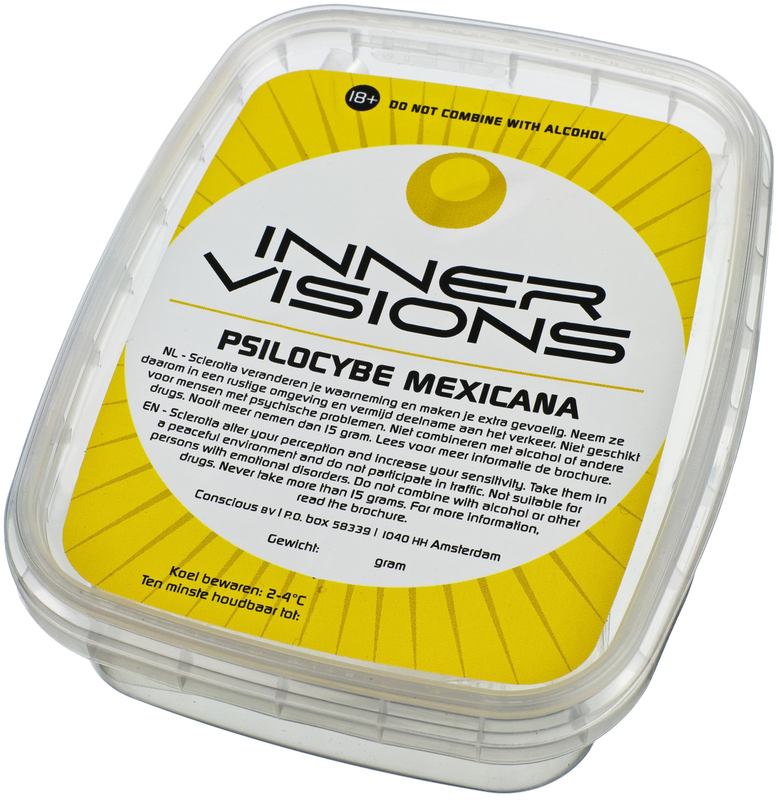 They sell with Inner Visions Labels on the packaging. Two Noted Non-Exiting Species. Psilocybe Vahalla. [Prepare to enter the wondrous world of Valhalla with this mysterious and very potent truffle. 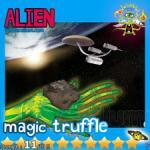 The next level for lovers of sclerotia magic.]. Well members of Mycotopia, again welcome to anyone from the Nederland to this site. 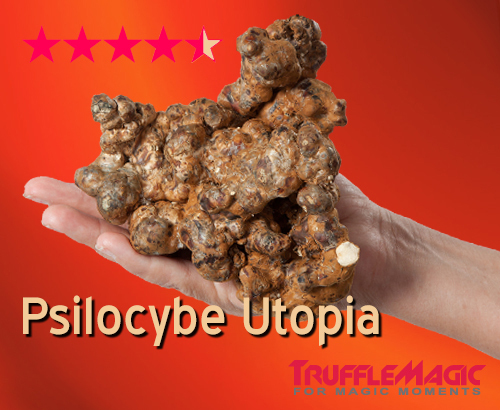 It is a source of good mushroom information with honest members here to help anyone interested in these special mushrooms. I just hav to keep bringing up how these dung dealers are ripping people off with their dishonesty in how they promote and sell their products.They are very greedy and that turned me off to supporting them. Especially because I informed many of them by attempting to politely ask them to correct the species names they are selling and to not be selling ten different products when most are all the same species of Psilocybe mexicana. 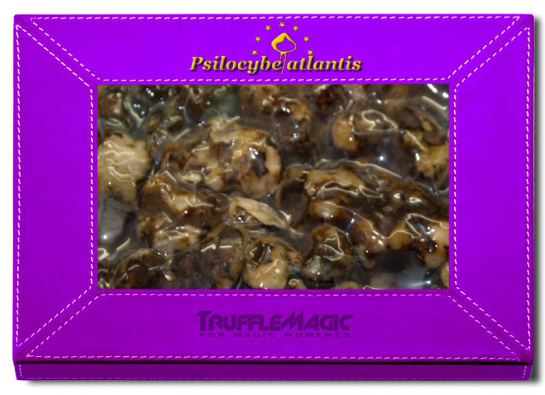 Psilocybe atlantis is also a sclerotia producing fungi. But they have so many packets of P. mexicana and selling it under different names is dishonest. 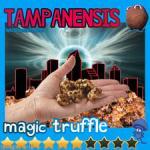 I cannot deal or support people in the shroom business who are dishonest to those they sell they products to. have a shroomy day and welcome to all good shroomers.